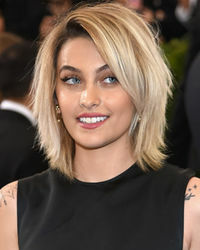 Paris Michael-Katherine Jackson was born on April 3, 1998 and is the second child and only daughter of the late Michael Jackson. 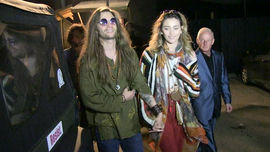 Her biological mother is Debbie Rowe, whom she has connected with following the King of Pop’s untimely death on June 25, 2009. Since her dad’s passing, Jackson and her two brothers – Prince and Blanket – have been raised by their grandmother, Katherine Jackson, and older cousin, T.J. Jackson. Her father kept her mostly shielded from the public as a child – often wearing a mask – so it was surprising when a then 11-year-old Jackson spoke in front of thousands at her dad’s memorial service on July 7, 2009. She began attending a traditional private school in Los Angeles and joined the cheerleading squad. However, Jackson struggled with not fitting in, insecurities, and cyber bullying. She fell into a deep depression at age 15 and in June 2013, attempted suicide by cutting her wrist and taking a large quantity of pills. She said in an interview this was not her first suicide attempt, just the first the public knew about. She enrolled in a residential therapy program to recover and attended a therapeutic school in Utah. Since graduating high school one year early in 2015, Jackson tried community college briefly, but has since been pursuing modeling and acting. She also revealed that a stranger sexually assaulted her at age 14. Jackson lived at Neverland Ranch for the first seven years of her life. 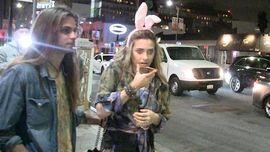 She and her drummer boyfriend, Michael Snoddy, now reside in a guest house on the property of the Jackson family’s Hayvenhurst estate in Encino, CA. Celebrate King of Pop and Pops' 60th ... With Huge Vegas Bash! !